The Department of Adult and Pediatric Otolaryngology, Head and Neck Surgery at the University Hospital Ulm offers the full range of diagnostic services, as well as comprehensive conservative and surgical treatment. The department has won a reputation as one of the best medical institutions of this kind at the national and international level. The clinical priorities include cancer treatment, plastic reconstructive surgery, paranasal sinus and skull base surgery, as well as the microscopic ear surgery, including the installation of hearing aids in congenital or acquired hearing loss. The department is headed by Prof. Dr. med. Thomas Hoffmann. It should be noted that the department began its activities in 1972, therefore it has enormous experience in the treatment of otolaryngological diseases. All the possibilities of modern university medicine are available here, while the clinical activities are based on an interdisciplinary approach. Nowadays, the department has more than 50 beds, including an intensive care unit with 4 beds, as well as two state-of-the-art sleep laboratories for the diagnostics and treatment of sleep-related respiratory diseases. Since 01.04.2013, Head of the Department of Adult and Pediatric Otolaryngology, Head and Neck Surgery at the University Hospital Ulm. 2013 Appointment to the post of W3 Professor in Otolaryngology at the Johannes Gutenberg University Mainz (rejection) and at the University of Ulm. 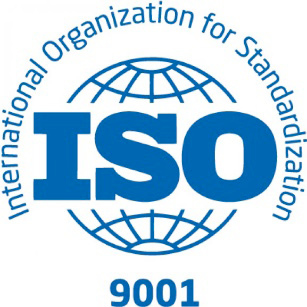 2010 Additional qualification "Quality Management in Medical Care". 2009 - 2013 Deputy Head in the Department of Otolaryngology at the University Hospital Essen. 2009 Invitation to the post of Visiting Professor. 2006 - 2009 Head of the Department of Functional Plastic and Reconstructive Cancer Surgery, as well as the Oncology Laboratory in the Department of Otolaryngology at the Heinrich Heine University Duesseldorf. 2006 - 2007 "Organization and management of clinics" (additional training program "Public Health Care", University of Duesseldorf) and "Health Care Management" (Duesseldorf Business School). 2006 Additional qualification in Plastic and Aesthetic Surgery. 2005 Additional qualification in Allergology. 2004 - 2009 Senior Physician, Department of Otolaryngology, Heinrich Heine University Duesseldorf. 22.01.2004 Habilitation, Heinrich Heine University Duesseldorf. Subject: "Oncoprotein p53 as an immunological target structure in head and neck squamous cell carcinoma". 24.09.2003 Medical Specialist in Otolaryngology. 2001 - 2003 Department of Otolaryngology, Heinrich Heine University Duesseldorf. 1999 - 2001 Cancer Institute at the University of Pittsburgh (Prof. Dr. T.L. Whiteside, E. Myers), Pittsburgh, USA, Postgraduate Mildred Scheel Scholarship for cancer research. 1997 - 1998 Department of Otolaryngology, Heinrich Heine University Duesseldorf. 1997 Doctoral thesis defense, Heinrich Heine University Duesseldorf. Subject: "In vitro studies using the example of head and neck carcinoma cells to determine sensitivity to cytostatics, tamoxifen and monoclonal antibodies against epidermal growth factor receptor." 1990 - 1996 Study of Human Medicine in Duesseldorf and London. Chairman of the Executive Board of the Center for Skull Base Diseases at the University of Ulm. Member of the Commission for Advanced Training of the German Society of Otolaryngology, Head and Neck Surgery. Board Member of the Working Group on Oncology at the German Society of Otolaryngology, Head and Neck Surgery. 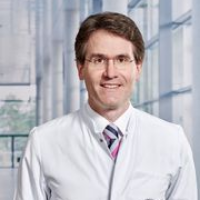 Board Member, Comprehensive Cancer Center Ulm (CCCU). Deputy Chairman of the National Conference of Medical Directors of the Departments and Institutes, Universities of Baden-Wuerttemberg. Board Member of the Medical Education Initiative Mol. Targ. Ther. Cancer (MTCC). Founding Member of the Research Society for Vascular Diseases (GeGeFo). Chairman of German HNO-Medithek at the German Society of Otolaryngology, Head and Neck Surgery. German Cancer Society, Working Group on Oncological Otolaryngology and Maxillofacial Surgery (AHMO). 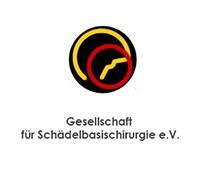 German Cancer Society, Department of Experimental Cancer Research (AEK). Working Group on Plastic, Reconstructive and Aesthetic Head and Neck Surgery. German Society of Skull Base Surgery. 2014 Hans Joachim Denecke Prize of the Skull Base Surgery Society, Vienna. 2013 Posterpreis Award, West German Otolaryngology Congress, Duesseldorf. 2012 Posterpreis Award, 6th International Conference on Head and Neck Cancer, Toronto. 2010 Anton von Tröltsch Prize of the German Society of Otolaryngology, Head and Neck Surgery. 2010 Posterpreis Award, West German Congress of Otolaryngology, Bochum. 2009 Posterpreis Award, West German Congress of Otolaryngology, Minden. 2008 Posterpreis Award, West German Congress of Otolaryngology, Solingen. 2007 Posterpreis Award of the Working Group on Dermatological Researches (ADF), Freiburg. 2007 Posterpreis Award, Angioedema 2007, Cologne. 2005 Scientific Prize of the Foundation for the Study of Head and Neck Tumors, Wiesbaden. 2004 Research Prize of the University of Duesseldorf. 2001 AACR-AFLAC, Educational Prize, American Association for Cancer Research, New Orleans. 2000 Presidium Prize of the 1st International Scientific Session of the Society for Biological Therapy, Berlin. Department of Adult and Pediatric Otolaryngology, Head and Neck Surgery.